Garlic is awesome. Anyone who knows garlic knows this is true. Anyone who does not know this has not been exposed to enough garlic. I’m sure many people have proclaimed that you can’t have too much garlic. I know I have. Though I must admit one time I think I put too much garlic in a dish. * I put an asterisk on it because it’s highly probable the dish failed due to my cooking skills and not the garlic, but we have no way to verify that now. But I have a memory. An awful memory. A cursed garlic memory. I don’t wish to have this memory. I work have worked diligently to suppress it, to block it, even erase it. It’s buried deep, but not deep enough. The worst thing about this memory is that it’s an olfactory memory. It doesn’t happen often but when it does it’s triggered by smell. The smell of garlic. But not just garlic. Some combination of smells that I haven’t pieced together. And when the memory surfaces, it’s not pretty. I smelled that combination this morning. I was prepping some garlic. Peeling the cloves. Then BAM. There it was, like a Balrog from the deep. I yelled “You shall not pass.” But it passed and I was filled with a feeling of disgust. And urpiness. Don’t forget the urpiness. The memory comes from when I lived in a multistory apartment building many years ago. We lived on the second floor. There were some plumbing problems going on in the building. Sinks were backing up. Then they were really backing up. Things started to gurgle up into the kitchen sink. Stuff from other peoples apartments. Foul things. Foul remnants from someone who liked to cook with garlic, lots of garlic. Garlic that had been sitting in the plumbing for some time. I tried to stop it but it kept pressuring its way into the sink. One inch. Two inches. Three inches. When would it stop? And that smell. The whole apartment smelled of rotten garlic and cabbage and God knows what else. The windows had to be opened. But there were no windows near the sink. Fans had to be put in the windows. Noses had to be pinched. And the guests. Yes, I had guests. They were merciless. No, it was not my cooking. Sure it wasn’t. Then it passed. The backed-up muck stopped at about 5 inches. Then subsided. The worst was over. But I remember. 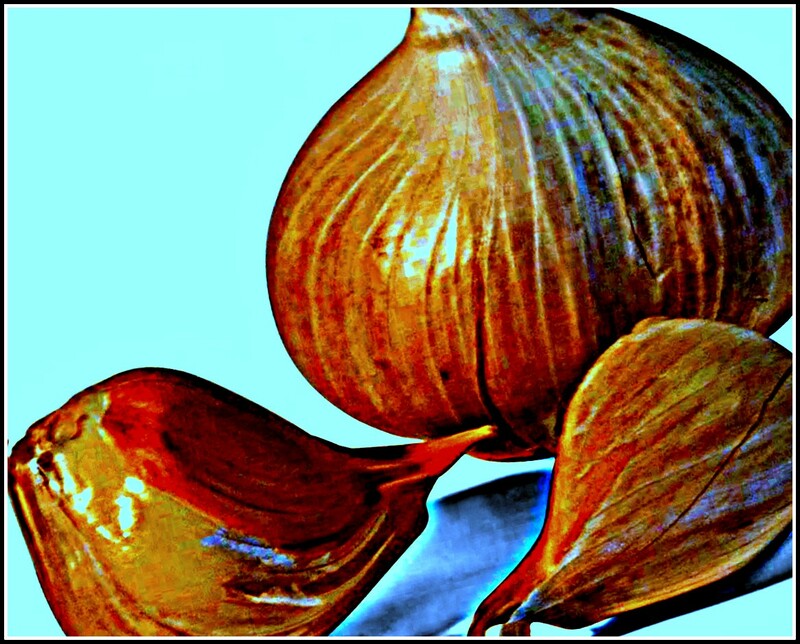 And now garlic has a dark side. A demon ready to jump from the darkness without notice. Yet don’t so many of the really worth-while things in life, the interesting things, have a dark side? A risk? Yes they do. And sometimes they show up in the strangest places. What’s in your dark place? This entry was posted in Personality and tagged Balrog, cook, Food, Garlic, memory, plumbing, yin yang. Bookmark the permalink.